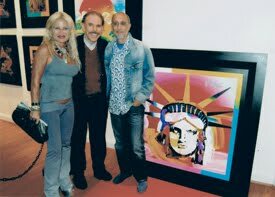 1976, the year of the 200th anniversary of the founding of America, PETER MAX dedicates the book called "PETER MAX paints America" to his family and friends and to posterity. 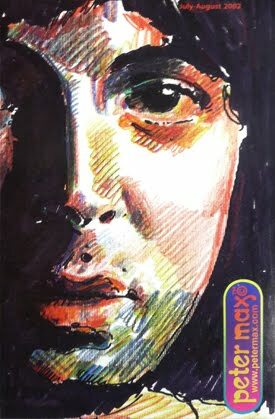 This amazing book, has the character and feel of the real hardcover of the Seventies, heavy stock matte pages, decorated with semi-gloss unique images expressly made by PETER for this occasion, along with a few very exclusive personal black and white images that recall part of his life. Published by ACOROPOLIS BOOKS LTD at the Colortone Building in Washington DC, has the Library of Congress Catalog Number 76-10934 and for those loose bookworms, the ISBN 87491-042-0. The book is based on works of art commissioned in 1976 by ASEA, the huge Swedish industrial company that in 1988 merged with another industrial colossus, Brown & Boveri to create ABB, and the book was "a sincere recognition of the historic bonds of friendship between the people of Sweden and the United States, recalling that Sweden was one of the first countries to extend its hand in friendship to the new nation". In his introduction, Peter recall part of his past mostly spent travelling between his birth city, Berlin, and China part of Africa, Israel and finally ending in America. 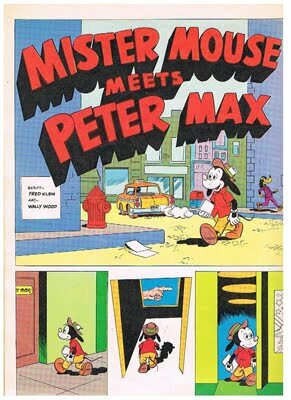 Since he was a small boy he always had a fascination for America, its music, the comic books and the films that had a collage of images mixed with experiences from ancient cultures and different styles of life. He then manifests his love for astronomy and what he called "different environs and fantasies of the future" and the privilege of living in what he defined as the Greatest time in history. 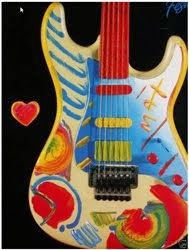 He selected a specific theme for each of the fifty state, whereas he explains that "the purpose is to express an aspect or quality of each state in spontaneous and sometimes random imagery, rather than literal portrayal", very PETER MAX, I should add. 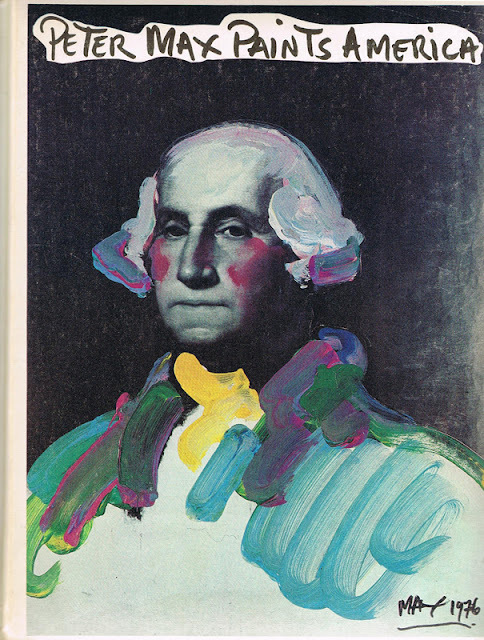 The cover artwork, could not be more appropriate than by using George Washington famous image fully intervened by the artist, while the back cover contains one of the seven Border Murals that eventually received millions of visitors passing by the Canadian and Mexican Borders. 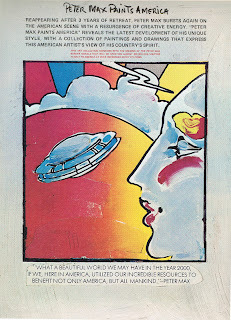 This cover also mentions that the book is one of the first works that PETER did after his 1973 retreat, and concludes with a MAX quote: " What a beautiful world we may have in the year 2000 if we, here in America, utilized our incredible resources to benefit not only America, but all mankind". 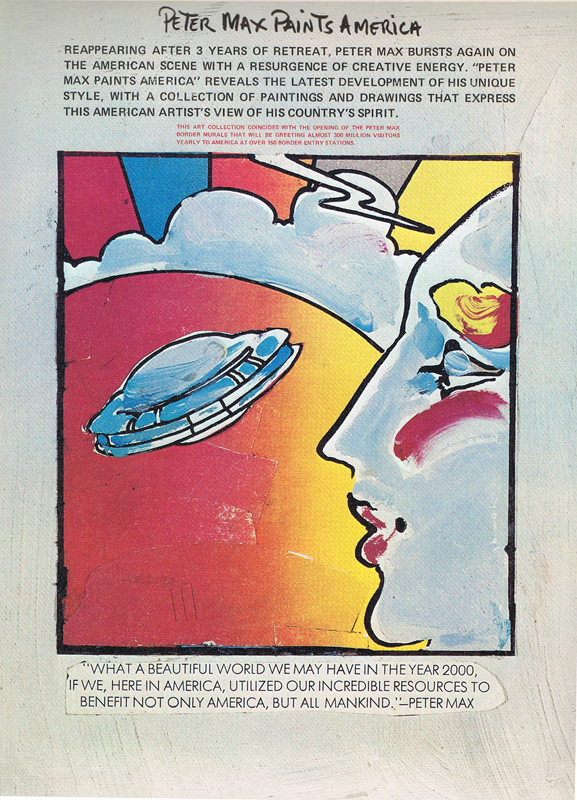 Information complied from the book PETER MAX PAINTS AMERICA, 1976.